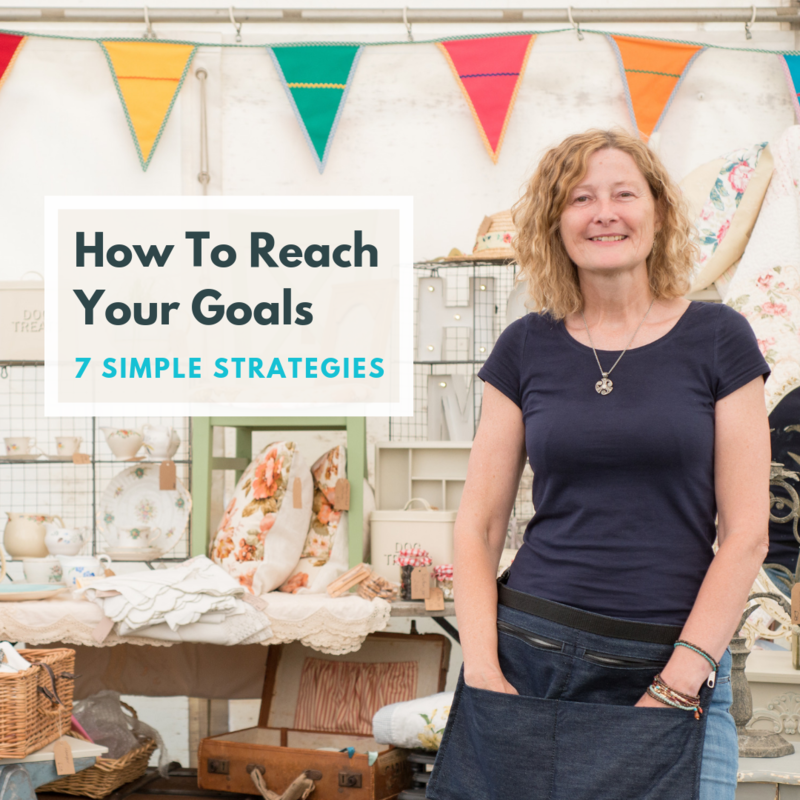 A blog is a great way to keep your customers in the loop about things you and your business are up to. It gives your company a personality so that customers and potential customers can relate to you more. In addition to this, a blog is fantastic for the SEO (Search Engine Optimisation) of your website, as Google favours regularly-updated content. It is also a great opportunity to get more keywords onto your site! Go to “Content” from your Top Menu. Click the “Add a New Page” button at the top of the left-hand menu on the “Content” screen. Your 'blog' page should now appear on your “Content” screen! Go to your “Content” screen. Select the “Page Options” square icon next to “Blog”. Alter the “Page Title”. This is what appears in your content screen (see first screenshot below). Edit the “Menu Text”. This is what will appear in your site's menu, representing your blog's name. To add a little bit of introductory text click “Display”, then click within the relevant field (see second screenshot below). Select the Edit icon (it looks like a pencil) next to your blog from your “Content” screen. 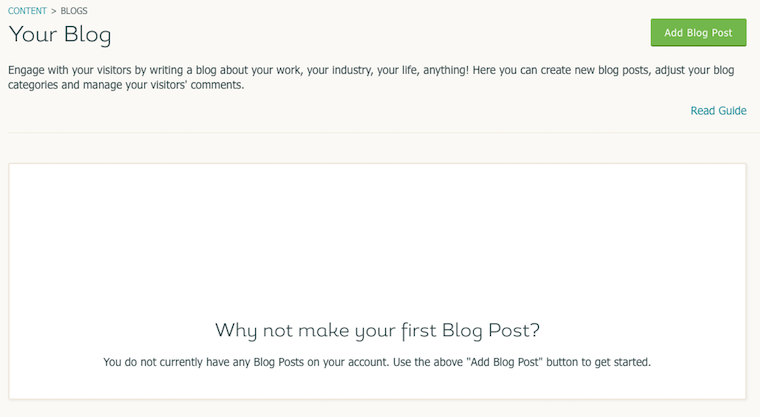 From this screen you can add a new blog post, edit/add categories and select certain blog options. 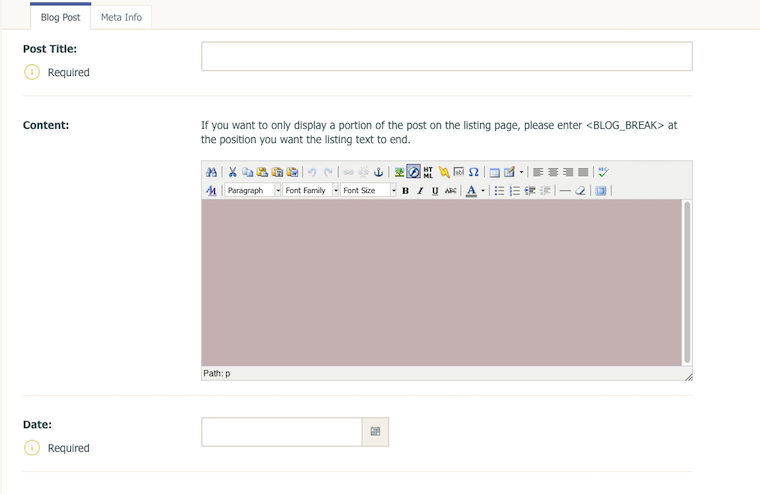 Above is a screenshot of the 'Add/Edit Blog Post' screen. Click inside the editing area of what will make up the content of your blog post. Create the body of your blog post here. Next, date your blog post by selecting a date using the drop-down lists. This is a really handy feature as you can always set blogs up to be automatically published in the future by setting a future date. Publish your blog post by clicking the yellow "Publish Blog Post" button. This feature allows you to organise your blog posts. They will display on the right hand side of your screen in a list. 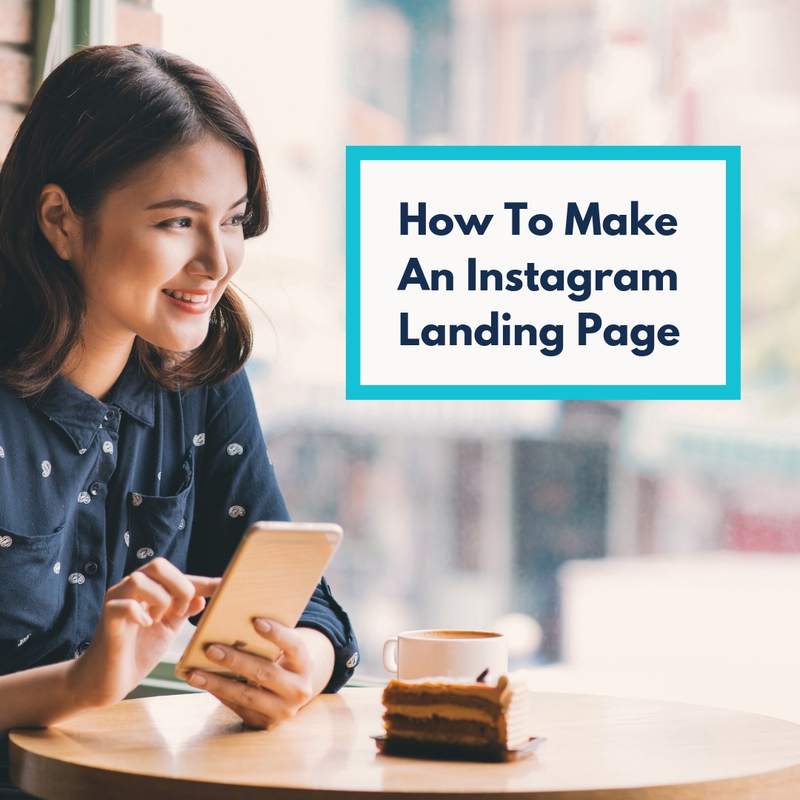 This is great for your customers to navigate their way to content-specific blog posts that they are interested in knowing more about. Select the "Edit" icon (the one which looks like a pencil) next to your blog from your “Content” screen. Click “New Blog Category” in the left-hand menu. Click “Add Blog Category” at the bottom right of your screen. Your new category will then appear. Select “Edit” next to your blog page. Under the “Categories” heading, tick which category you would like your post to be in (see screenshot below). 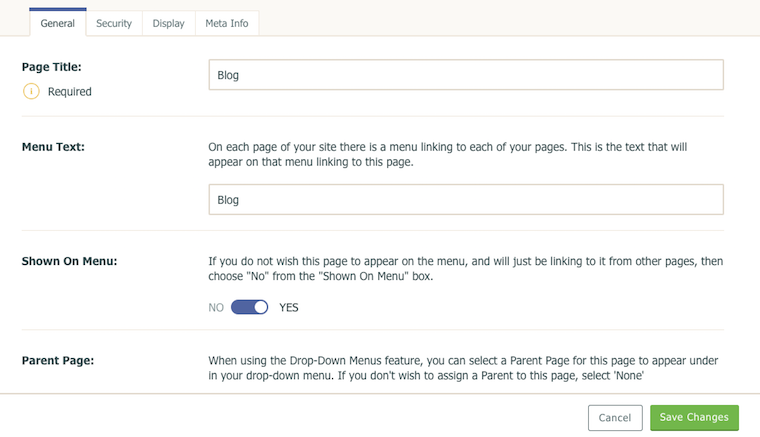 Here you can adjust a few settings relating to your blog. You can find these options by editing your blog page and selecting the “Blog Options” button. - Set this to “Yes” if you want the email addresses of people who have posted to be displayed on the blog page. However, we advise against this as the email addresses could be picked up by junk-mail robots. - You can be sent a notification by email whenever somebody posts a new comment on one of your blog posts. Comments will not appear on your site until you have approved them. - Choose whether or not you want users to be able to post their website address when they comment. - This is the amount of blog posts that are displayed on each page of your blog. - Allows users to to post comments on your blog posts. - Shows the date archive panel, which allows visitors to navigate through your blog posts by month and year.